We recently conducted a survey of our readers on various topics related to mergers & acquisitions and exit planning. The results are covered briefly in the articles below and the full results are available for download. In general, the results suggest that merger & acquisition activity may increase later this year. They also suggest that green industry business owners (at least our readers) are thinking about exit objectives, but only a minority have an exit strategy and just a fraction have a written exit plan. All of this is food for thought and we invite you to download the full report on the survey. As always, if you are considering selling or buying a green industry business or you are ready to begin developing your exit plan, we welcome the opportunity to discuss your situation confidentially. Justst give us a call or send us an email. A new survey of green industry business owners shows 30% of green industry business owners who responded to the survey are considering an acquisition in the coming year. In other highlights of the survey 40% of green industry business owners who responded said they had an exit strategy, but only 13% actually had a written plan. The survey was completed by The Principium Group during the week of March 17-23 and was directed to readers of Green Industry Merger & Acquisition News. The survey results related to exit planning were thought-provoking and demonstrated a disconnect between the objectives that business owners have in exit planning and the actual steps they have taken to increase the likelihood of achieving those objectives. 40% of people responding to the survey indicated that they had an exit strategy for their ownership interest in their business. Although 40% of survey participants indicated that had an exit strategy, only 13% indicated they had a written exit plan in place. Although only 40% of survey participants indicated they had an exit strategy and 13% said they had a written plan, nearly everyone who participated in the survey listed his or her most important exit planning objectives. By a large margin, the most common exit planning objectives were “to exit financially stable” and to “exit on my timetable.” Somewhat surprisingly, the next most common objectives were for the business’s customers to be well cared for and for the business to continue and prosper, which were much more common than to transfer the business to family member(s) or key employee(s). Experience tells us that business owners are much less likely to achieve their objectives if they do not have a plan in place to do so. Here is our summary of recently reported merger & acquisition transactions in the green industry. In a move that launches an interiorscape division, Dworsky Partners, a firm that specializes in integrated acquisitions for companies in the building services industry, has formed a partnership with R&J Hall Environmental Services, an established interiorscape company. The new entity, named Dworsky Interiorscape, LLC, gives the firm a strong foothold into the Southern California interior landscaping market. Dave Dworsky, president & CEO of Dworsky Partners, sold his landscape maintenance business to The Brickman Group in May 2011. Indiana-based Landscape Solutions has merged with Advantage Lawn & Landscape, expanding its service base in the Greentown, Kokomo, and Lafayette, Indiana markets. Advantage provided landscaping services, landscaping design, and snow removal services. Have You Considered Franchising Your Business? Franchising has been one of the great success stories of the past few years in the green industry.  Who hasn’t noticed the growth experienced by the major landscape services franchisors, including US Lawns and The Grounds Guys or the many lawn care franchises in the market? Certainly, franchise conversions are a major growth area. In a franchise conversion, an existing business owner purchases a franchise and then converts his or her existing business to a franchise model, adopting the systems and marketing programs offered by the franchisor. This is one of the hottest areas in franchising today. Have you ever thought about franchising your business? Certainly the success of the major franchises in the green industry draws attention to the idea. Franchising can be a method to leverage the investment you have already made in operating systems, branding and marketing without investing the capital required to expand into new markets on your own. You don’t have to be an industry giant to consider franchising. If you have a successful business, would like to expand faster than may be possible through retained earnings and don’t want to bring in outside investors who might dilute your ownership or control, franchising can be an excellent growth vehicle for you. Through a strategic alliance partner, The Principium Group offers a franchise development program through a strategic alliance partner that can get you started on the road to franchising your business at a much lower cost than you might imagine. The franchise development programs allow you to undertake your franchising program as part of your existing operational budget. The program simplifies the entire process for you and takes you through it step-by-step. If you are interesting in considering franchising as an option, contact us and we can set up an initial telephone call to see if franchising makes sense for you. John Warrillow, the bestselling author of Built to Sell: Creating a Business That Can Thrive Without You, will lead a one-hour presentation on building a sellable business. Built to Sell was ranked by both Inc and Fortune Magazine as one of the best business books of 2011. During this unique session, John will discuss the principles of increasing the value of your company – John will also take your questions directly. The webinar will be held on Thursday, April 11, 2013 at 11:00 am EDT, 10:00 am CDT, 9:00 MDT and 8:00 PDT. To register for this webinar, click here. This webinar is by invitation only. When completing your registration, please list The Principium Group or Ron Edmonds as the advisor who invited you to the webinar. John Warrillow is also the developer of The Sellability Score. For more about The Sellability Score, click here. To get your Sellability Score, click here. Do You Know Your Sellability Score? Have you wondered just how sellable your business is? Here’s a chance to find out. Take this quiz and find out your business’s sellability score. You’ll receive your Sellability Score immediately, and then we will send you a 24-page report that provides additional feedback and schedule a complimentary phone call to discuss the results. As an added benefit, we’ll also send a PDF e-book copy of Green Exit and our Guide to Understanding Your Sellability Score for Green Industry Business Owners to everyone who completes the Sellability Score quiz. Understanding the Value of Your Business is an important step in the Exit Planning Process. Most business owners do not have a clear idea of the value of their business or understand the important factors that drive that value. Understanding the value of your business will help you plan for the future and will also allow you as a business owner to take constructive steps to improve that value over time. The Principium Group offers a cost-effective approach we call the Market Value Assessment. The Market Value Assessment provides a valuation for your business based on established methods and industry conditions for planning purposes. It also will specifically identify important factors that affect the value of your particular business. If you are interested in learning more, please click here, email us or call Ron Edmonds at 901-351-1510. For more information about these titles or to order copies from the publisher, click on the links above. You can also order them from amazon.com in print or kindle formats. Click here to visit our Amazon Store.